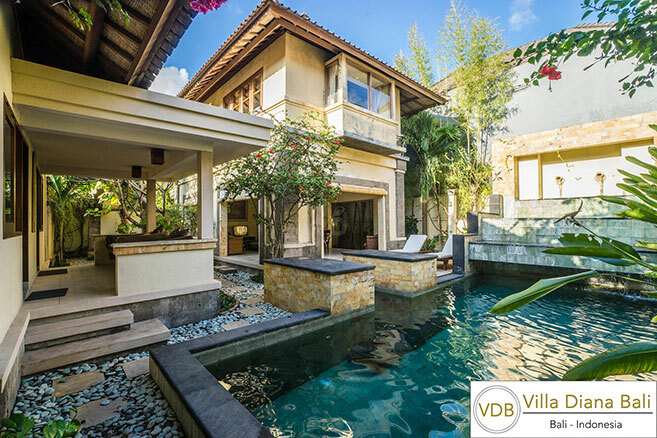 Set amidst a tropical landscape, Villa Diana Bali is located in the centre of Legian. It offers an outdoor swimming pool, free wireless internet and accommodation with a private balcony. 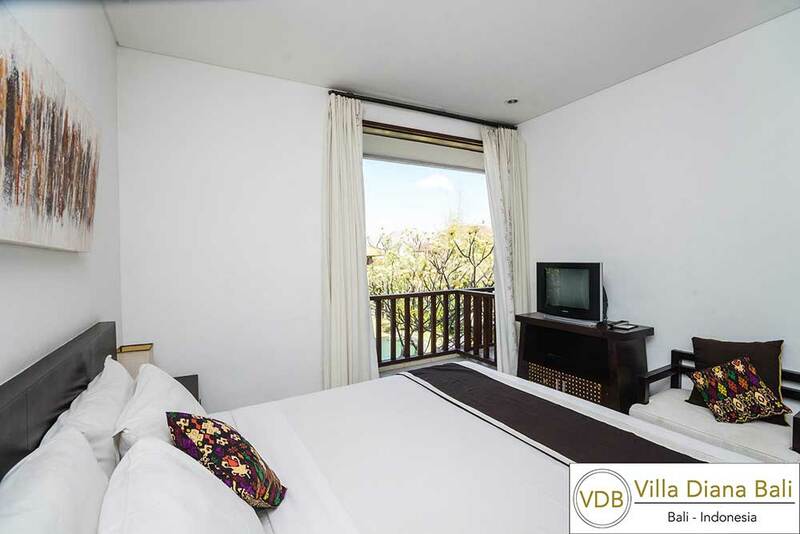 Guestrooms at Diana Bali feature Balinese architecture and modern décor. Each well-appointed room has plenty of natural light and is fitted with a TV with cable channels. Recreation choices include relaxing on the garden terrace or enjoying a game of table tennis.  The resort provides car rental services and free parking. Travel arrangements can be made at the tour desk. Free pick-up from the airport is provided, while airport drop-off can be arranged for an extra charge. Bali Diana’s restaurant serves a fine selection of local and international dishes. Light snacks and refreshing beverages are offered at the bar. 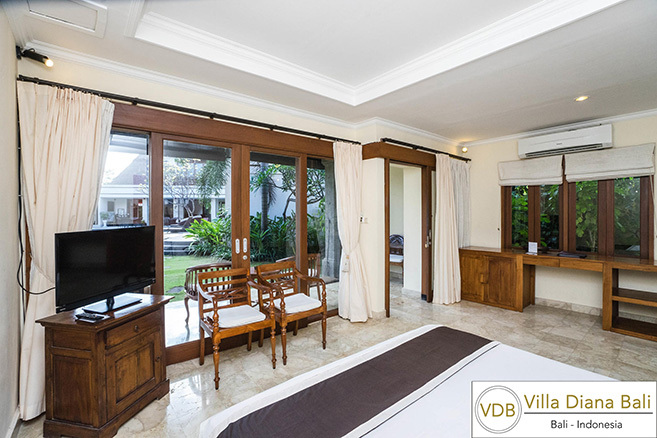 If you stay in Bali with us minimum 4-Nights stay, you will get Free Airport Pickup to The Hotel and 1x Free Dinner at Villa Diana Bali Restaurant. 1 x Buffet Lunch at Villa Diana Bali Restaurant on Nyepi Day. 1 x Buffet Dinner at Villa Diana Bali Restaurant on Nyepi Day. Validity on March 08 – 10, 2016. 2-Bedroom villa for 4 persons, 3-bedroom villa for 6 persons.